Every single one of us has experienced it at some point. Our heart rate and blood pressure go up, our muscles tighten, and some of us even have a vein that throbs in our forehead. We have all been angry. Perhaps our life partner has gotten on our last nerve, and co-worker has railroaded us (again), or the tech support we called has wasted an hour of our time with no results. There are many situations which can evoke an angry response. For a healthy and productive life, anger management is necessary. Put simply, Dr. Harry Mills says that anger is” usually experienced as an unpleasant feeling that occurs when we think we have been injured, mistreated, opposed in our long-held views, or when we are faced with obstacles that keep us from attaining personal goals.” Anger is experienced so often that even kid’s shows address it, such as Daniel Tiger’s Neighborhood. For adults, anger management classes are given on how to control anger, and books have been written about how to overcome it. Still, it is an emotion that can cloud our judgment. To begin to learn how to exercise anger management, it is important to know what triggers anger. Let’s look at the top three causes of anger. Fear can be a huge anger trigger. We are not talking about fear for one’s life, but rather social fears. The fear of embarrassment or failure can lead on the feel angry emotions. Fear of the unknown can manifest as anger. Our mind will change the fearful emotions we feel into emotions of anger as a way to overcome the fear. Frustration can often be the root of anger. As frustration builds up with a situation or life in general, anger at what is going on is generally the next step. For instance, many of us have felt frustration with a coworker who does not pull their weight at work. 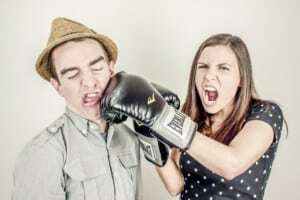 As the frustration with having to cover for their job mounts, that frustration often gives way to anger at the co-worker and the management which is allowing the situation to continue. Frustration often comes from feeling powerless to change a situation, and it is only natural we would be angry over our own feelings of powerlessness. When another person hurts us or causes us pain, anger is a natural feeling. How many times have we read about someone who finds out their significant other is cheating, and their pain and hurt turns quickly to anger? Or the anger at being betrayed by someone we trusted? As humans, we want to lash out at those causing us hurt and pain and stop our own hurt and pain from continuing. 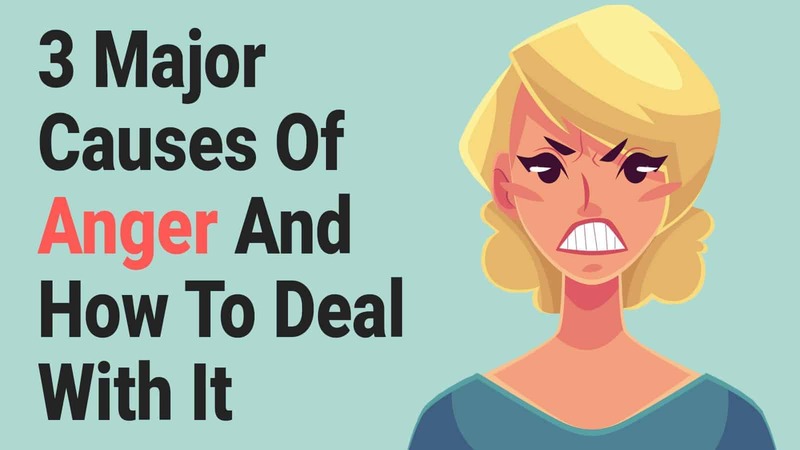 Each of these causes of anger come from very different emotional places. Nonetheless, there are ways we all can exercise anger management. First, focus on solving the problem. In the scenario where you are frustrated with a co-worker, perhaps you could go to the co-worker and speak with them directly. If fear is causing your anger, find a way to mitigate the fear. Fear of public speaking might cause anger, but you could take some speech classes or joining Toastmaster’s to mitigate this issue and reduce the anger you feel. If someone has hurt you, either remove yourself from the situation or confront them after taking some time to calm down. Find ways to focus on how you can fix the issues that is causing your anger, and you will find that your anger fades as you take your power back. You can avoid things that trigger your anger. For instance, if you have a co-worker that grates every one of your last nerves, find ways to deal with them as little as possible. If you know family gatherings begin to get too stressful, and lead to feelings of anger, you can opt not to attend, or attend for a short period of time. You have control over many situations in your life, and you know what you can change or avoid so you can decrease your anger level. Don’t be afraid to make those changes and avoid your triggers! Finally, you can work on your communication skills. Many issues that cause us anger can be avoided if we learn to speak up. How often have our feelings of frustration and anger stemmed from our own inactions or failure to communicate? If there is something that is frustrating you at home, talk to your roommate, parents, significant other (or whoever you live with) and hash it out with them. It could be that they never knew what they were doing angered you. By confidently speaking to people about issues that are bothering you, you can avoid getting angry in the future! 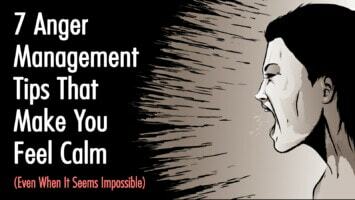 Anger management is at your fingertips. Go and take these tips and apply them to your life and see how much it changes your anger levels on a daily basis!